It’s safe to say that we love superheroes! 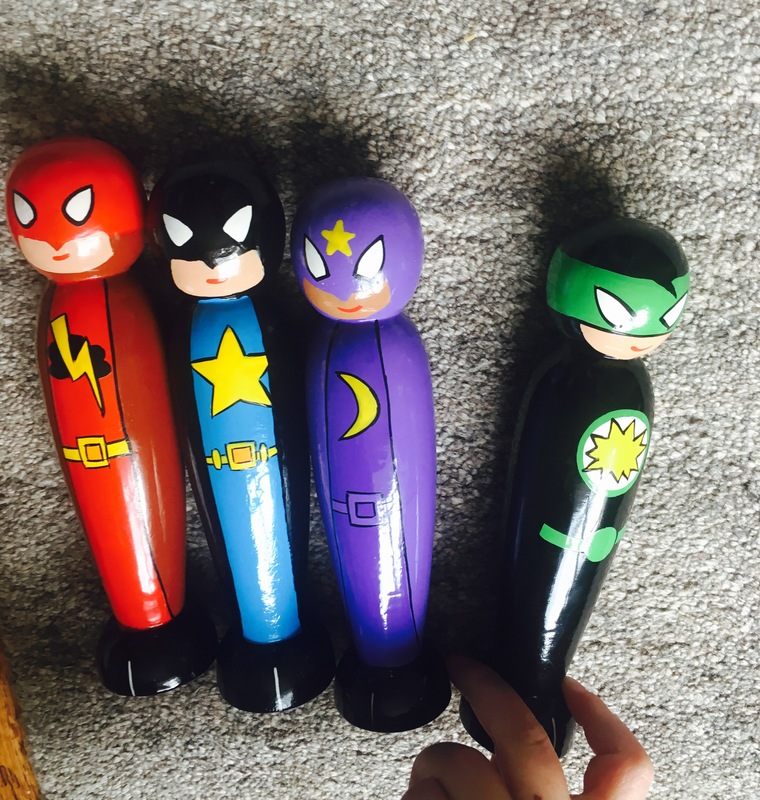 We even have a whole superhero section on The SEN Resources Blog dedicated to superhero toys, books and resources. 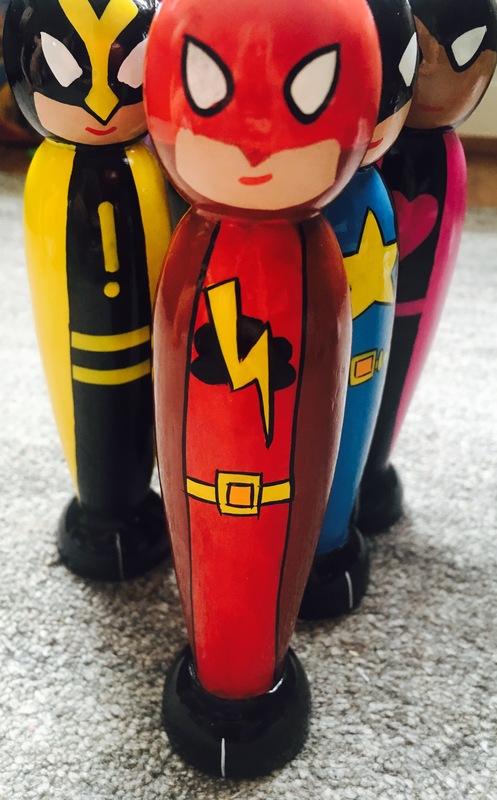 We were incredibly impressed with these wooden, toy superheroes by Early Years Resources. Simplicity– The charm of these toys has to be their simplicity, they have no moving parts and are made of wood. Their bold coloured, painted designs- make them almost a blank canvas for play. They can be any superhero the child wants them to be, male, female, young or old! Their size and shape is perfect for fitting in a child’s hand too. Encourage Imaginative Play- They are fantastic for sparking the imagination of children. Children can make up the 6 different character’s background stories and play at superheroes rescuing other toys! 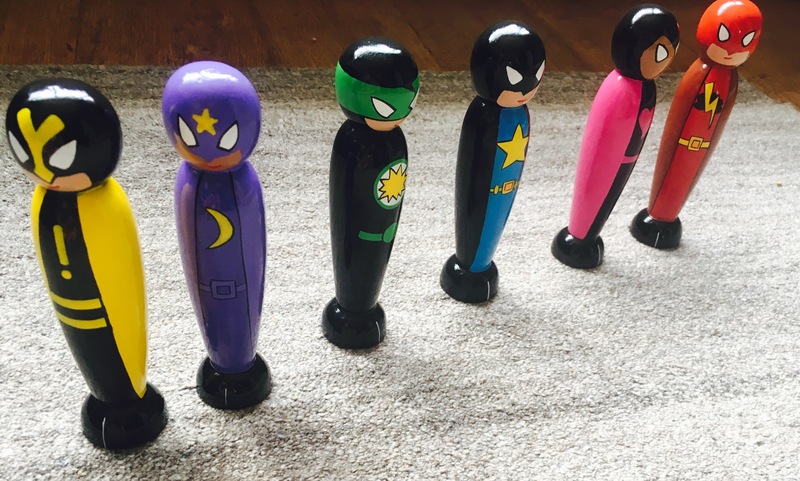 Because each superhero has a different costume colour and design it gives children the idea that they each have their own personality- further fuelling their imaginative play. 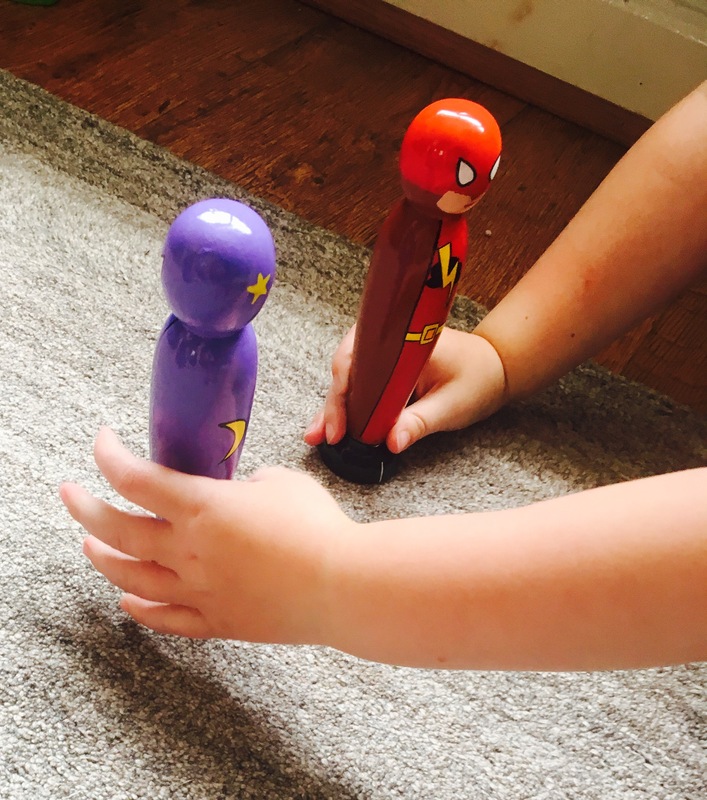 Uses in an Educational Setting– One thing that particularly struck me with this superhero toys is how many uses they could have in a education setting (nursery, preschool, primary school) For example, they could be used on a basic level for colour recognition, small world play and developing speech and language skills. For older children they would be an excellent resource to support discussions on diversity. Wow these look great! Love your suggestions for use in classroom setting. Thank you, they are lovely aren’t they! 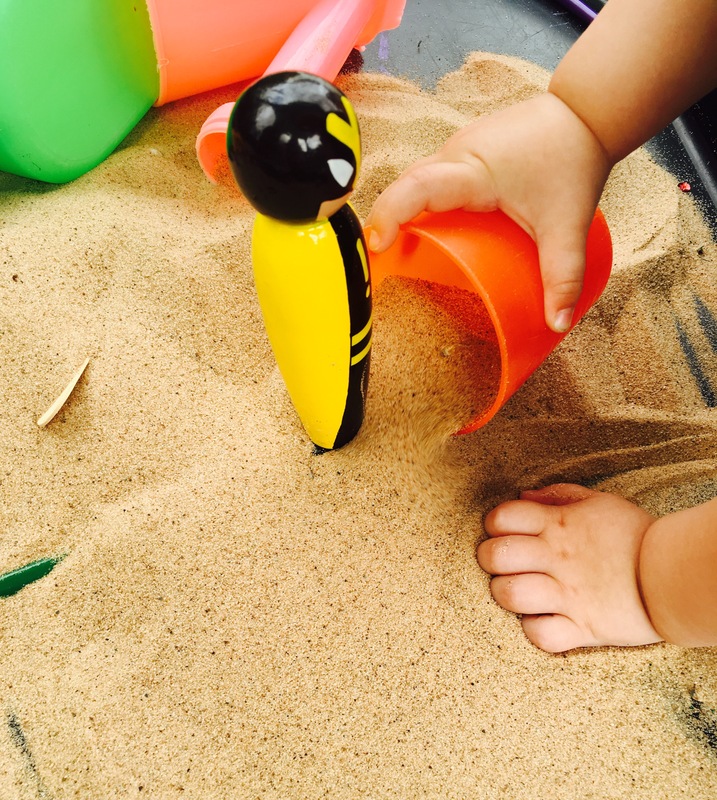 ← Practising Forming the Letters of the Alphabet in the Sand Pit! – Fun, outdoor learning activity.